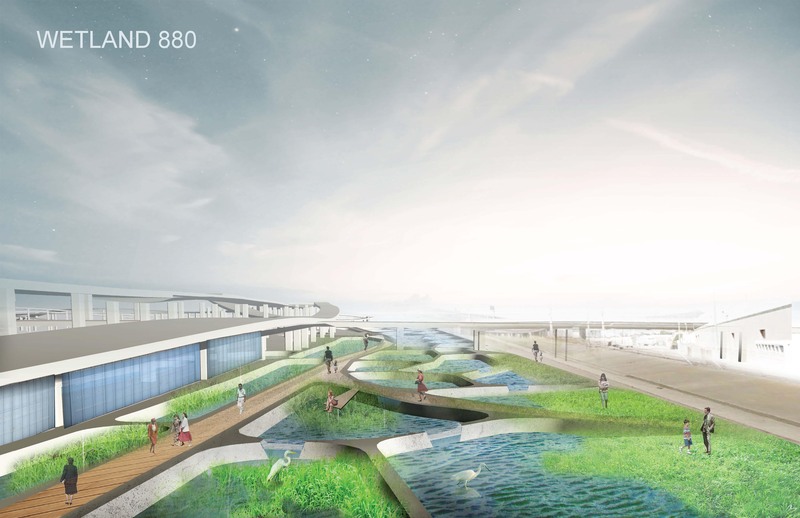 In the open space surrounding the elevated 880 freeway, and extending into the near-shore environment of the San Francisco Bay, we are proposing to build a responsive wetland system that cleans and purifies water as it flows into the bay. 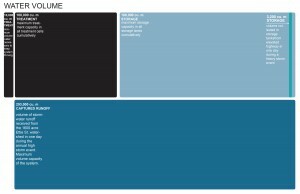 We propose using stormwater from the city of West Oakland, and treated wastewater effluent from EBMUD (as supplemental water during dry parts of the year). 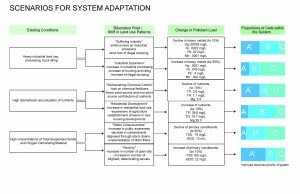 Considering that stormwater absorbs lead, zinc, mercury, magnesium, nitrogen, TSS and BOD (etc.) 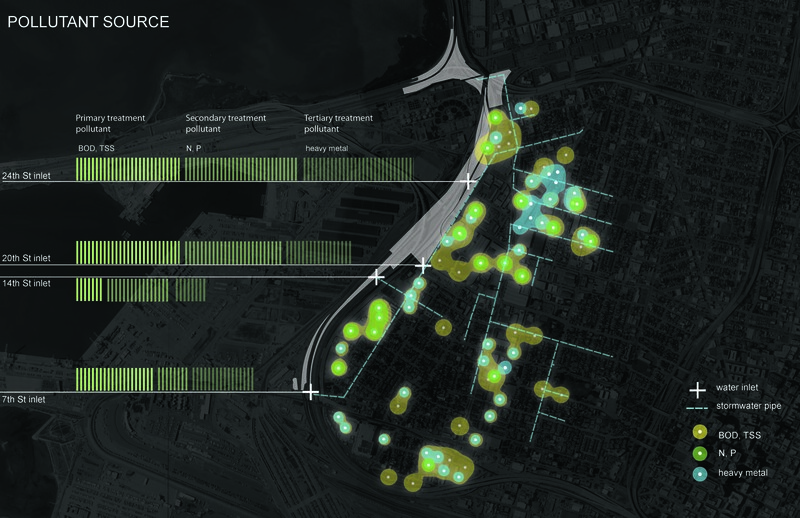 from the sites and streets through which it flows, the water that enters our wetland system will have a pollutant load that will change over time, as environmental conditions in West Oakland change. This water will flow through a series of individual, yet connected primary, secondary and tertiary treatment cells, which are designed to treat specific pollutant types. The cells will be separated by an elastic surface that is activated by air, to rise and collapse according to needs of the cleansing system. This surface, which forms a set of control lines, connect s viaduct pillars, expands and wraps the pillar foundations, protecting them from erosion, allowing more flexibility to original rigid transportation infrastructure (hopefully adapt it better to earthquake). 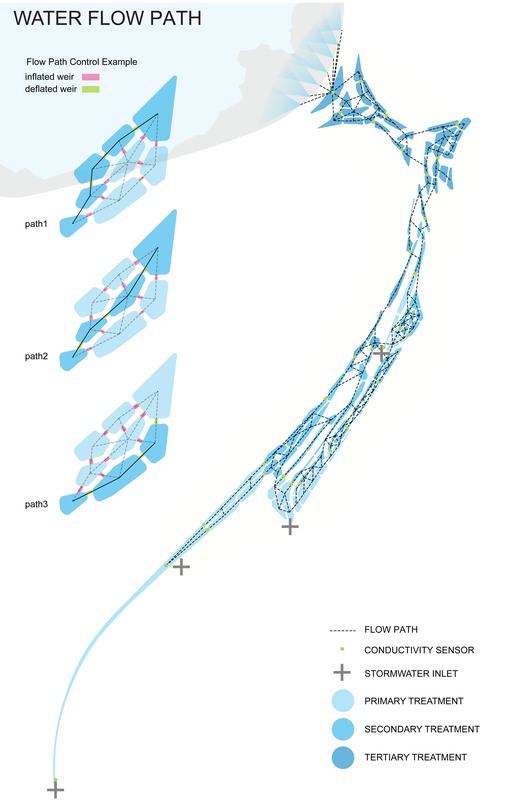 The layout of the control lines and the cells are determined by the existing viaduct pillars, viaduct shading condition, surrounding land use conditions and pollutant source distribution. When concentrations of water pollutants are present, the inflatable control surface will adjust to manipulate the flow of water into the cells that treat that particular pollutant of concern. 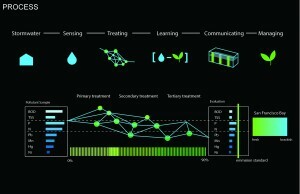 The pollutants are sensed through the use of water quality sensors; the data acquired will be used to activate the inflatable control dams. 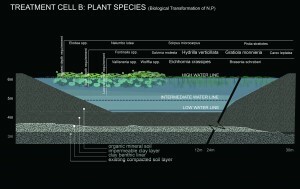 The cells will treat water through phytoremediation of the water medium, with the use of hyperaccumulating and filtering plants like Typha Latifolia, Nelumbo nucifera, Juncus effuses, etc, simultaneously increasing the biodiversity of the area. 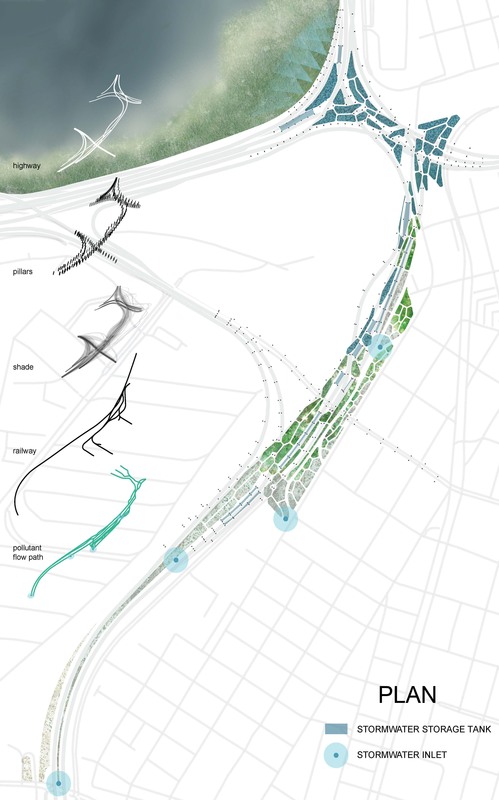 The goal of the project is not only to treat a significant portion of West Oakland’s stormwater, but also to adapt to changes in water quality and quantity over time, and to build a space that engages the West Oakland community with a progressive and inclusive design. Wetland 880 is a combination of mechanical and biological treatment methods. Polluted water will go through primary, secondary and tertiary treatment before entering the bay. 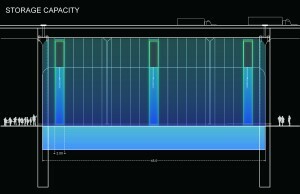 Water will be sensed before entering the system to calculate the most efficient path and treatment time needed. Neighborhood pollutant source database is built to forecast types and amount of pollutants. Treatment cells are fitted underneath the highway according to infrastructure and site conditions. Water path manipulation responding to pollutants contained. 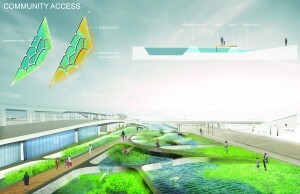 Water flows through a linear arrangement of cells, the flow is manipulated by inflatable weirs. 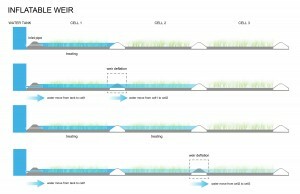 Inflatable weirs, or dams, have been used at the landscape scale for flood control, and some pollution management applications as well. Selected plant species for primary treatment cells. 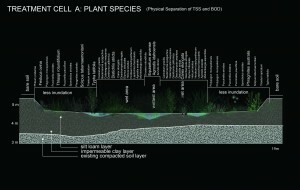 Selected plant species for secondary treatment cells. Selected plant species for tertiary treatment cells. The system captures storm water runoff from a series of inlets along the perimeter of the site, which tap into the existing Ettie St. Watershed storm water culvert infrastructure. The volume of stormwater that the system can handle at full capacity is equivalent to the runoff volume from the heaviest storm annually, which is nearly 300,000 cubic meters. To hold this large capacity of water in wet seasons, and to release this volume of water in dry seasons, several storage tanks will be implemented beneath the elevated portion of the highway. The tank is designed with clear panels for viewing the level of water inside. They are designed to communicate information regarding the quality of water through lighting embedded along the surface of the tank. with sensors inside of the tank, attached to floating water level regulator devices. To anticipate how the levels of toxicity could change over time, we identified several potential scenarios for in land use that result in different pollutant loads. For instance, an increase in industrial activity could result in an increase in heavy metals, which implies that C cells are the priority of the system. To respond to this change, the C cells can increase in number, their quantity expanding into the A and B cell areas, expanding their surface area, volume and treatment capacity. 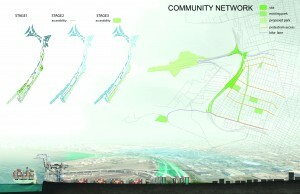 The site will serve as a critical link in a growing network of urban green space. Transition from water treatment cells to public open space. 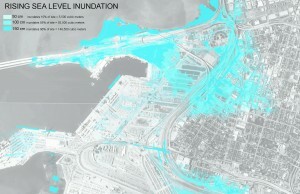 Vulnerability of West Oakland Community facing sea level rise. 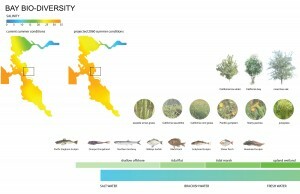 Tidal marsh biodiversity increased by Wetland 880 fresh water input. 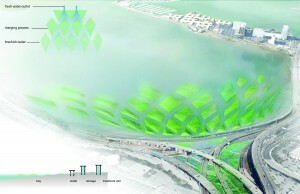 Flow pattern design for treated fresh water merging into the bay. 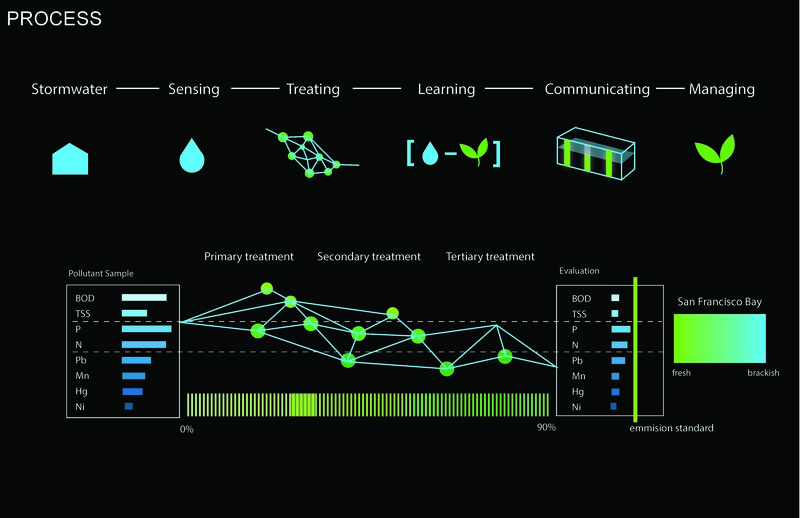 Harrington, R., O’Donovan, G. “Integrated Constructed Wetlands (IDW) working at the landscape scale: The Anne Valley project, Ireland.” Ecological Informatics 14 (2013): 104-107. 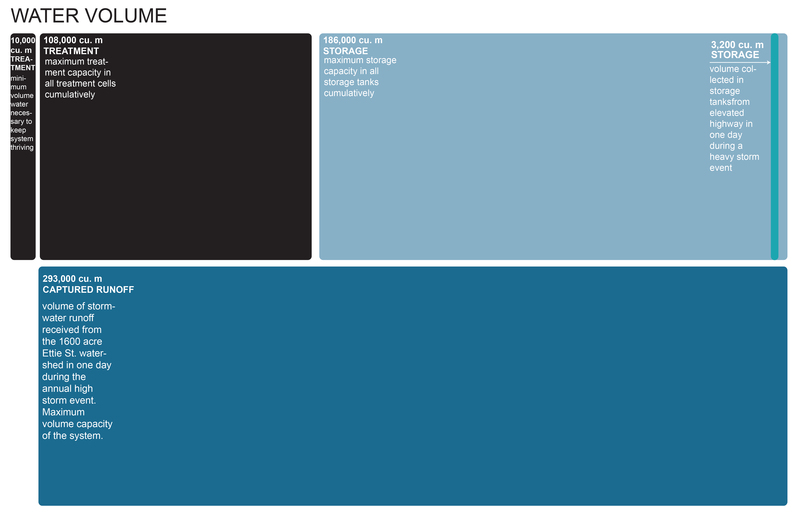 Heberger M. The Pacific Institute, et al., “The Impacts of Sea-Level Rise on the California Coast,” California Climate Change Center, May 2009. Paulson, R.W., Chase, E.B., Roberts, R.S., and Moody, D.W., Compilers, National Water Summary 1988-89–Hydrologic Events and Floods and Droughts: U.S. Geological Survey Water-Supply Paper 2375, p. 99-104. 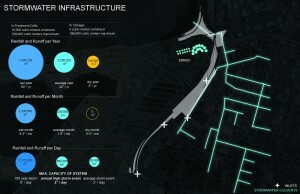 Tam, L. “Sea Level Rise and the Future of the Bay Area.” SPUR The Urbanist. 1 Nov. 2009. Issue 487. Tam, L. “Strategies for Managing Sea Level Rise.” SPUR The Urbanist. 1 Nov. 2009. Issue 487. Cronk, J., Siobhan Fennessy, M. Wetland Plants: Biology and Ecology. CRC Press, 2001. Gattari, F. The Three Ecologies. New Brunswick, NJ: Athlone, 2000. Print. .
Kadlec, R, Knight, . 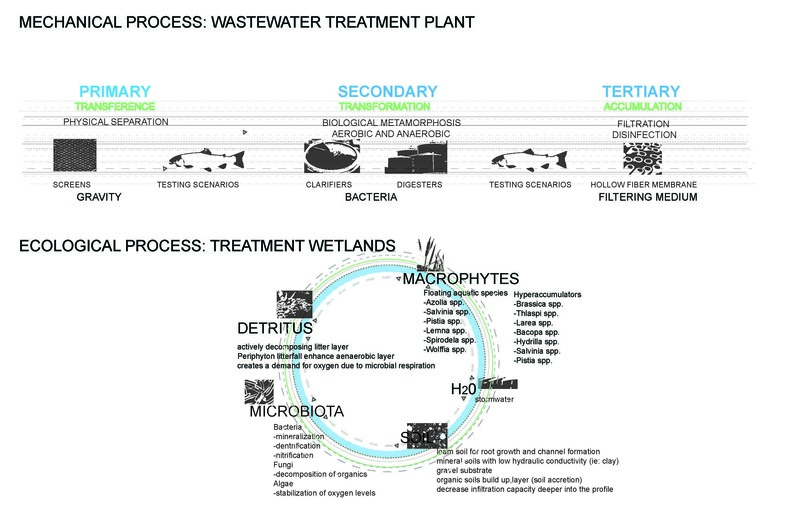 Treatment Wetlands. Washington: CRC Press, 1996. Print. Margolis, L., Robinson, A.. Living Systems. Berlin: Birkhauser, 2007. Print. Nathanson, J. 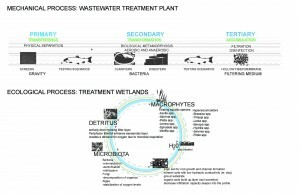 Basic Environmental Technology: Water Supply, Waste Management, and Pollution Control. New York: Prentice Hall, 1999. Print. 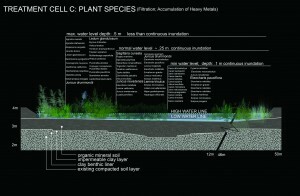 Odum, H. Heavy Metals in the Environment: Using Wetlands for Their Removal. New York: Lewis Publishers, 2000. Print. Hill, K. Lecture on East Bay Ecology. UC Berkeley, Berkeley. 4 Sept 2013.